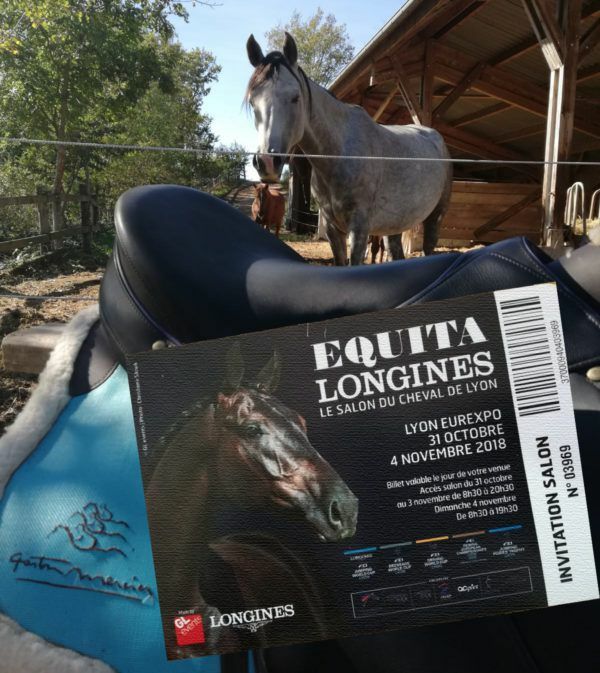 Equita Longines 2018, a new edition! An event built around high-level sport, a horse fair and an unprecedented equestrian artistic creation, Equita Longines is the largest annual equestrian gathering in Europe, part of the FEI World Cup circuit. Three World Cup stages: jumping, dressage and driving. 5 days of national and international competitions for riders of all levels. 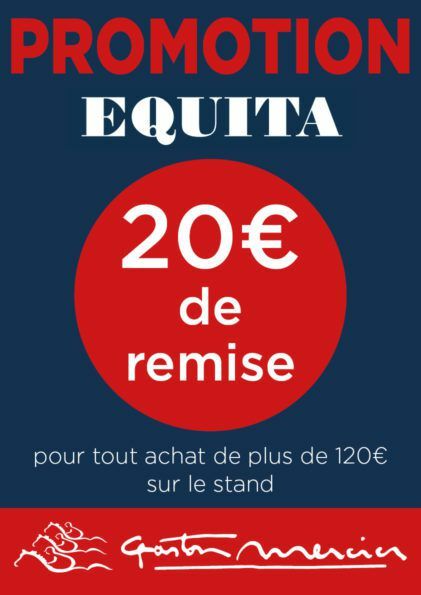 The Equita Western Horse Show, the largest gathering of international American horse racing competitions in Europe. 1 health center, an interactive space run by human and equine health professionals dedicated to raising awareness about the health of horses and riders. 1 Pole Breeding where are presented more than 40 breeds of horses and ponies, a Pole that contributes to the recognition of French breeding. 1 Village of startups Hippolia by Equita, a springboard for young companies in the equestrian sector. Show Promotion, Contest Game – 2 more reasons to come and see us !! 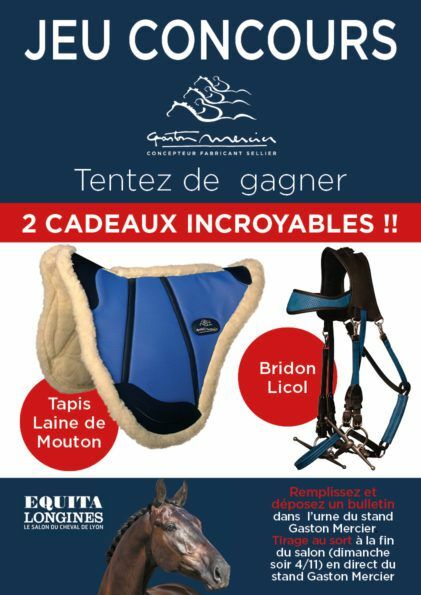 The saddlery Gaston Mercier, international and essential actor of the equestrian world, is present in the hall 4.1 on stand K62. All Team Gaston Mercier will be delighted to welcome you in our ephemeral shop from Wednesday, October 31 to Sunday, November 4. A complete and representative panel of the entire range of saddles and accessories Gaston Mercier is exposed on our stand. Contact us now if you want to make a personalized appointment with one of our advisors! We will refund the equivalent of your entrance ticket to the show !! Try to win a sheep wool rug or a Licol bridle !! Fill out and drop your ballot in the booth of Gaston Mercier’s booth. The draw will take place at the end of the show (Sunday evening 4/11) live from the booth Gaston Mercier. You can also download your contest entry form. Do not have a ticket yet? 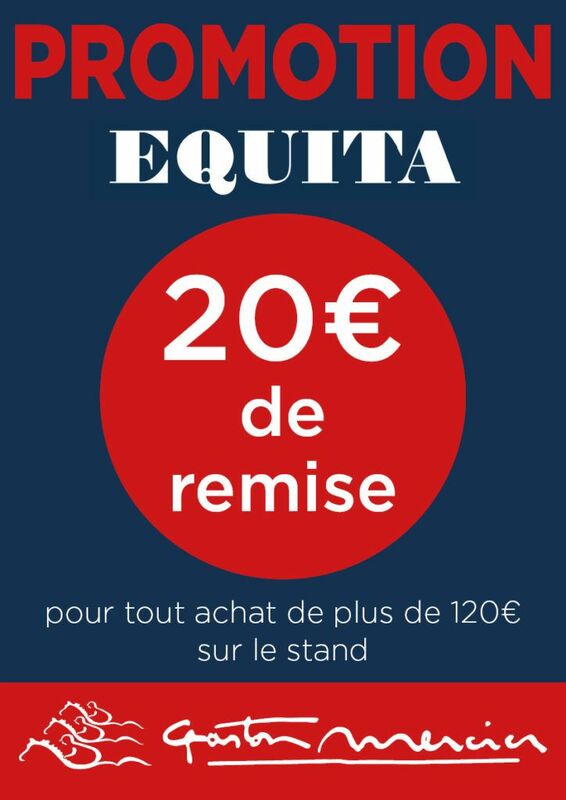 Try to win an invitation to Equita by playing on our Facebook page !! You have until Sunday, October 28 to participate. The winners will be drawn, published on our Facebook page and the invitation sent on October 29, 2018. Elaroussa farm Mas Vinegar wish you all good luck !! You will not be able to come to Equita? We do not forget you !! 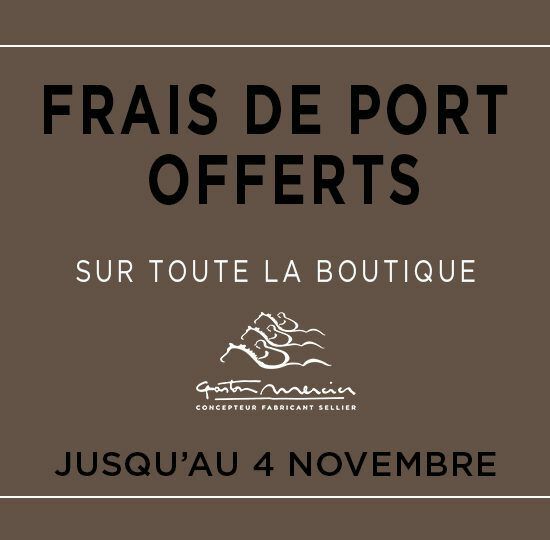 Throughout the show, from Wednesday, October 31 to Sunday, November 4, 2018, we offer shipping * for all orders placed on the site Gaston Mercier. < The Occitania Region presents "Product in Occitania", reports highlighting regional talents. 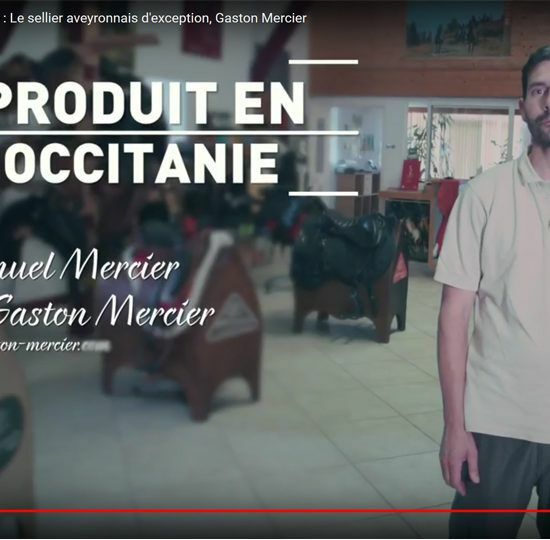 The Occitania Region presents "Product in Occitania", reports highlighting regional talents.